More about this spoon: Dinkelsbürg is a historic town in Central Franconia, a region of Germany that is now part of the state of Bavaria, in southern Germany. Dinkelsbürg is a former Free imperial city of the Holy Roman Empire. 0248-0072. Sterling Silver Enamel Souvenir Spoon St. Petersburg Fla. Oranges. Hdle obv. cut out finial with enameled oranges, whit orange blossoms and leaves at the end + “St. Petersburg, Fla.” Engraved in bright cut letters. BL. mining scene – beautifully engraved. Hdle obv. enameled view of “Westminster Abbey” at finial + decorative stem. 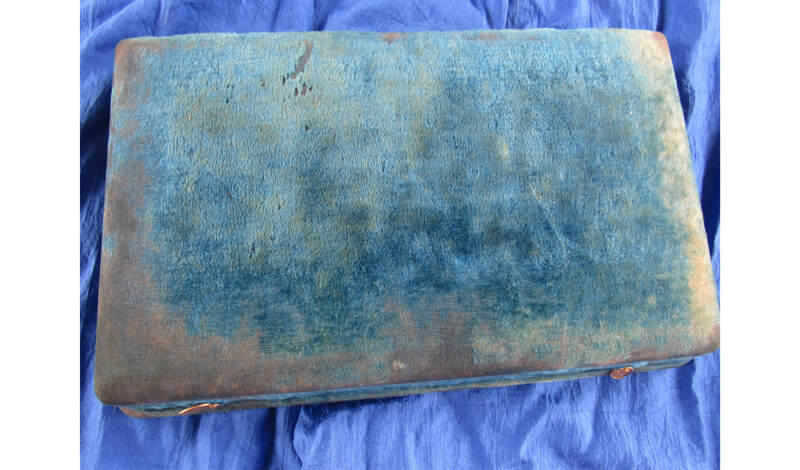 Handle = in mint condition. Hdle rev. embossed view of patriotic paraphernalia. 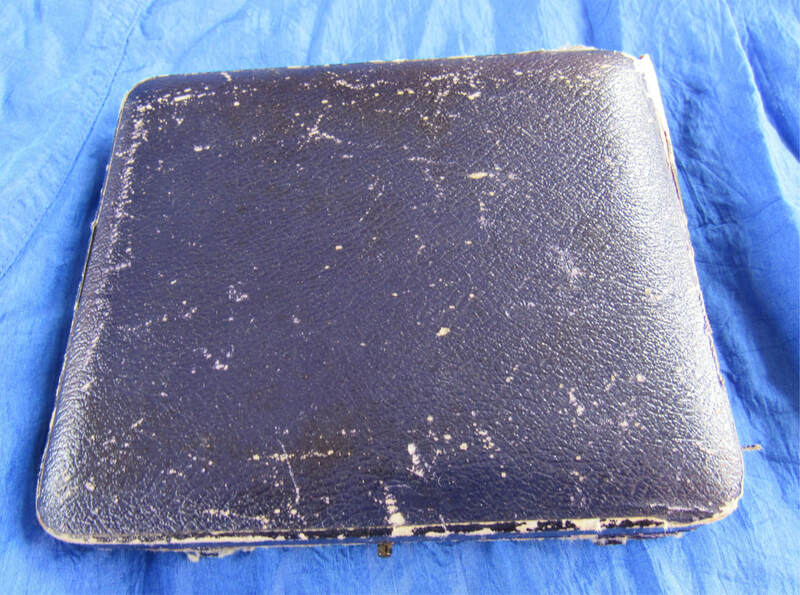 Issued on November 10 1978 in a single limited edition reserved exclusively for established Franklin Mint Collectors. 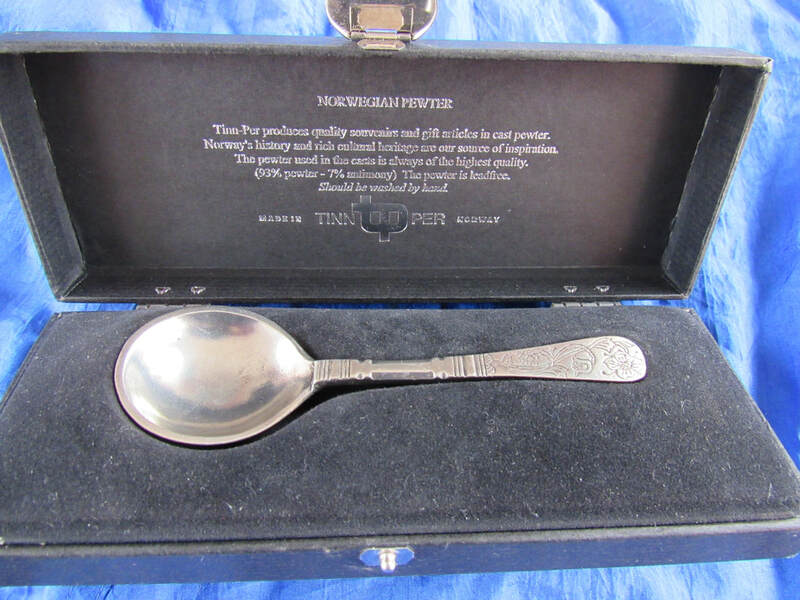 The spoon is English sterling silver hallmarked for Sheffield 1978 (Rose, Lion Passant, Date letter D). The maker's Mark 'FM' refers to the silversmiths Franklin Mint. On the handle reverse there is also a facsimile signature from the designer, Peter Jackson. Length: 5 ½ inches. MB: $35.00. More about this spoon. Text pamphlet included with the spoon: The charming Victorian couple portrayed on the bowl of the Christmas Spoon are observing one of the oldest and most delightful of all Christmas customs — that of kissing beneath the mistletoe. The ancient tradition appears in Norse mythology when Balder, the son god, whose mother was Frigga, dreamed that he was about to die. Frigga immediately conferred with Air, Earth, Fire and Water, and with every plant and animal, all of whom promised not to harm her son. However, she overlooked one lowly plant, the mistletoe, which Loki, the god of evil fashioned into an arrow. This he gave to the blind god of winter who shot it, unknowingly striking and killing Balder, causing the sun to fade from the sky. Each of the gods made a frantic and futile attempt to bring him back to life, but it was Frigga, whose lover for Balder was greater than that of all the others, who finally succeeded. Her tears of joy turned into the berries on the mistletoe plant, and the goddess decreed that henceforth anyone standing beneath The mistletoe would receive a kiss as a token of love. Thus it was that long after Christianity had replaced many of the older religions, the pagan custom live on both as a symbol of good luck and of the power of love to overcome all the forces of evil. 0262-0443rb-0448rb. 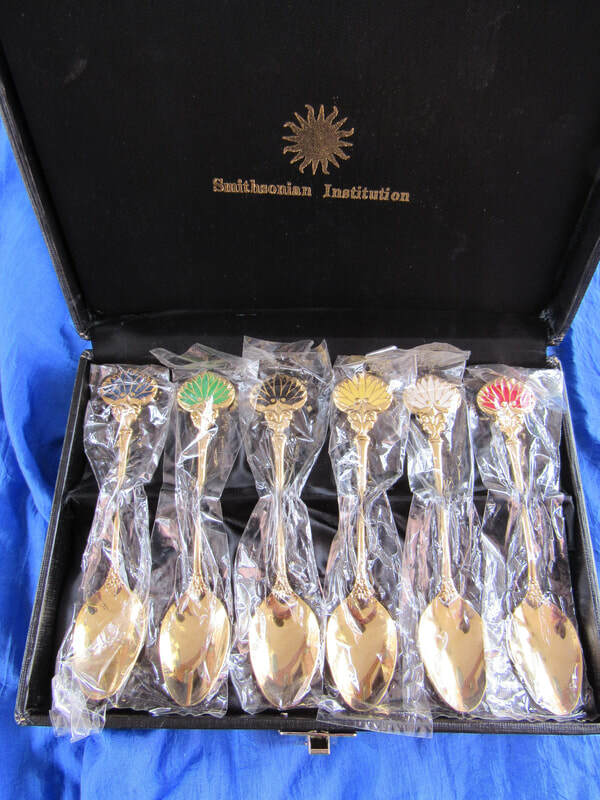 Boxed set of 6 Smithsonian Shogun design spoons. 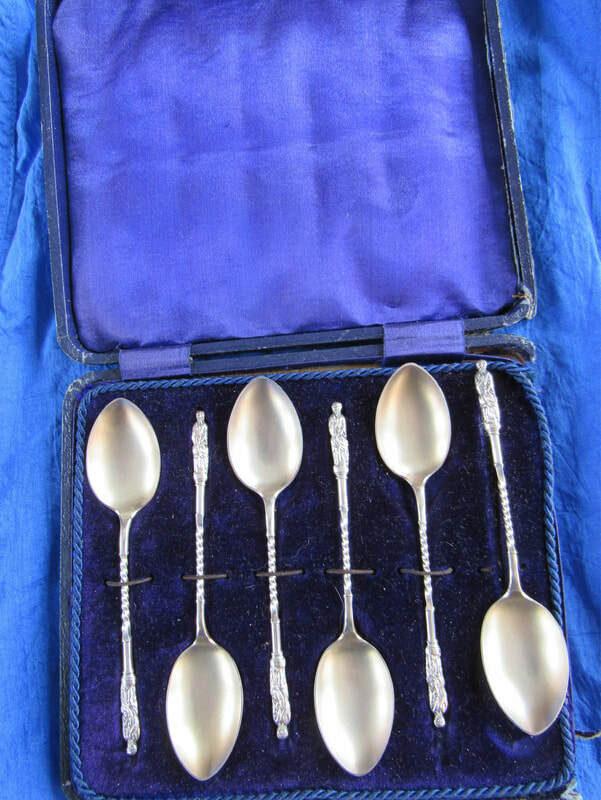 Spoons are gold-plated. Length: 5 inches. All spoons = still in unopened original plastic bags. All spoons marked: "Japan." MB: $45.00. 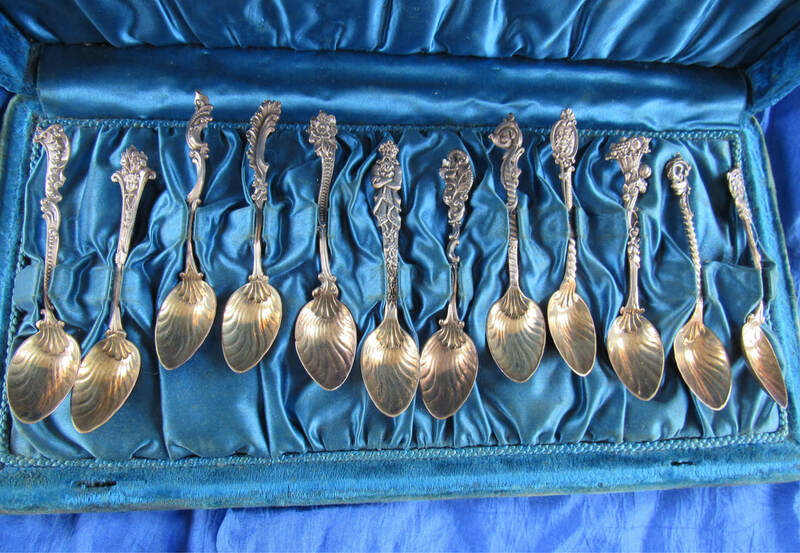 More about these spoons. The design on the handle of these spoons represents a single aoi lead, adapted from the trifoliate aoi crest of the Tokugawa family, military rulers of Japan for nearly 300 years. The actual Tokugawa crest is a circle surrounding the three aio leaves with their tips pointing toward the circle's center. In the year 1603, the emperor appointed Tokugawa Ieyasu as Shogun, granting him the authority to rule the country, This great leader established a central military government (or Shogunate) over which the Tokugawa family held reign until 1867. This powerful ruling family unified the feudal society of warring states, established political and economic stability, and maintained a period of peace and prosperity for nearly three centuries. During this period, know as "The Age of the Shoguns,: Japan experience a prolonged cultural renaissance. Many works of art were commissioned by the Tokugawa family, who contributed greatly to Japan's cultural heritage. Among the beautiful objects created for ceremonial, governmental or military functions were: lacquered boxes, tea ceremony wares, sumptuous robes, Ikebana vases, calligraphic scrolls, painted screens, and armor and swords. These were often elaborately decorated, handcrafted works of great symbolic, as well as intrinsic, value. Our aoi leaf design is adapted from a brass plate bearing the trifoliate crest of the Tokugawa clan. It is in the ethnological collections of the Smithsonian's National Museum of Natural History. 0264-0429rb-0434rb. 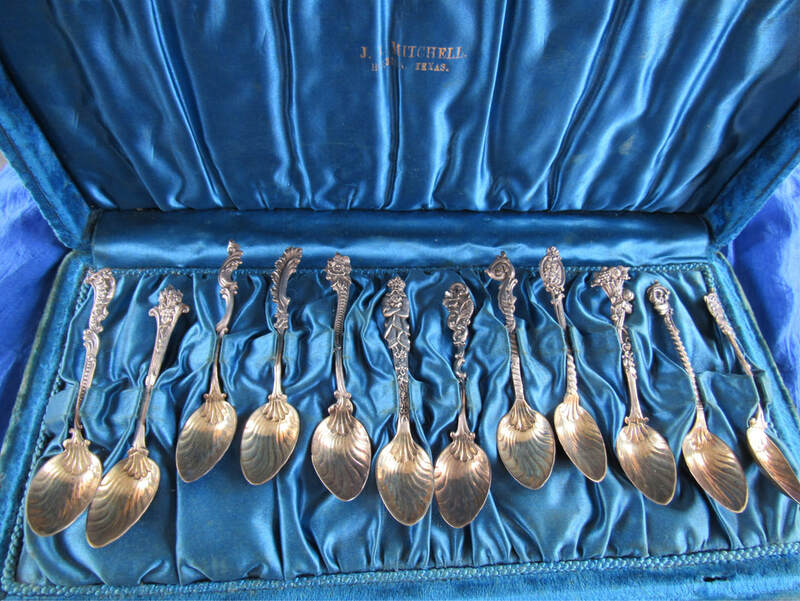 Boxed set of 6 demitasse Apostle souvenir spoons.